The cold and wet weather certainly didn’t put buyers off from attending our first coin and banknote auction of the New Year. It was the first sale to be held in our new auction venue. We will be holding all our auctions in future at the Grade 1 listed Court House, located just across the road from our former venue at the Lord Leyster Hotel. All viewing, invoice settlement and lot collection will still take place at our offices at Chalon House. This unusual Nairne 1916 £5, graded as very fine, realised £507. 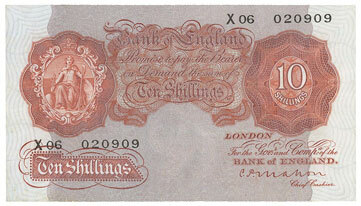 This Mahon 1928 10 shillings, graded as extremely fine, sold for £165. 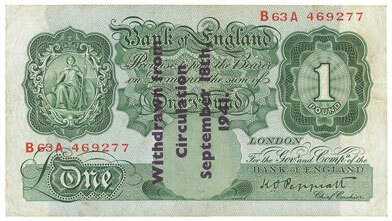 Banknotes by Catterns were especially sought after this auction with this 1934 £5, graded as very fine, selling for £224. 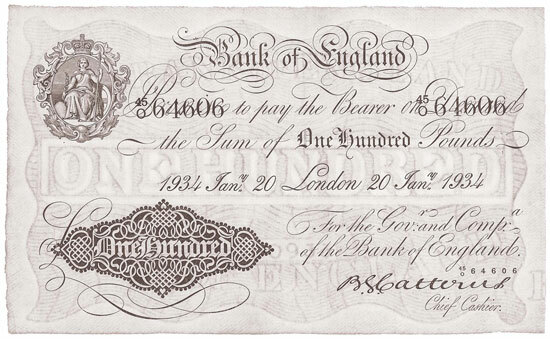 And this rare Catterns 1934 £100 banknote, graded as very fine, achieved a whopping £1,298! This Peppiatt 1934 £1 States of Guernsey Overprint, graded as good fine, realised £295. 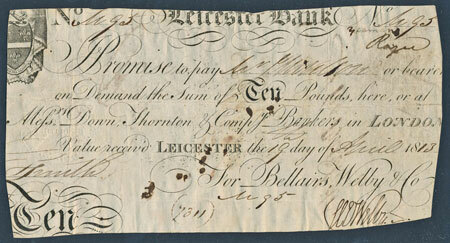 To read the full story of why these notes were produced please see our Latest News page. In the Local Issues section Lot 311 was an interesting Leicester Bank range of 18 banknotes, all dated between 1810 and 1813 and of differing denominations, which realised £542. 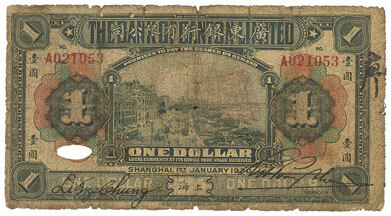 The World Banknotes section contained a plethora of lots from all over the world to tempt buyers. This Chinese Bank of Canton Ltd 1920 $1 was graded as only poor but achieved a healthy £177, a bargain for such an unusual note. 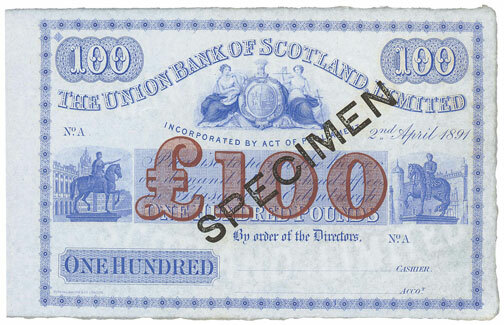 This Scottish Union Bank of Scotland specimen 1891 £100 sold for £330. 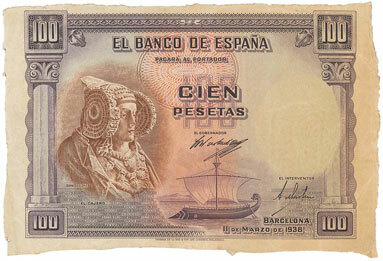 This highlight of the section however must be this rare Spanish ‘Barcelona El Banco de Espana’ 1938 100 pesetas unissued note, which realised a massive £1150! 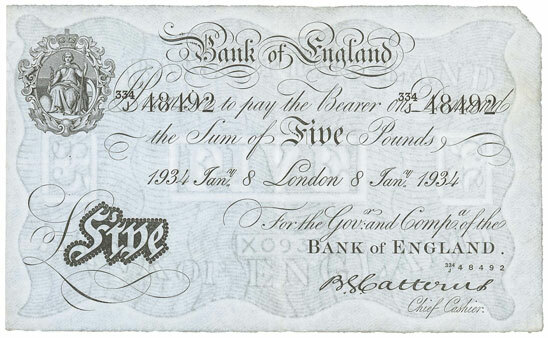 Our next banknote auction will be held on Wednesday 20th April 2016. Look out for the full catalogue for this sale, which will appear on our website in the next few weeks. Also keep an eye on our Twitter and Facebook pages which will include updates of our latest auction news.